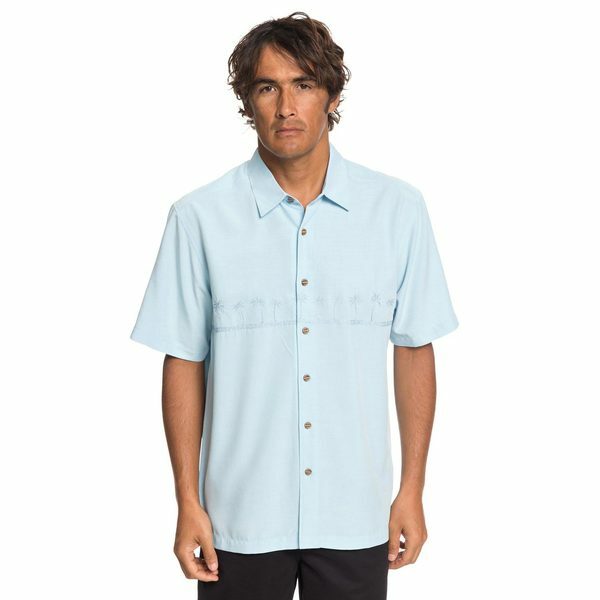 When you need a shirt for a casual evening the Quiksilver Men's Tahiti Palms 4 Shirt is a shirt that delivers. The regular fit construction provides this short-sleeved shirt with a definite casual look, and the polyester composition ensures you're going to be comfortable wearing it. Inspired by the ocean and committed to quality, this shirt also features a flat bottom hem with side slits, coconut buttons and an embroidered band across the chest. Imported.